We may be coming out of winter, but that just means we’re starting to notice the strain it’s had on our pockets. Most of our energy bills come in monthly, bi or tri monthly batches, meaning that as we enter March, we’ll start to see the full bulk of what our energy intake was like during winter. This might alarm some of us, the heating bills being far higher than the spring and summer months. Whether you were expecting your heating bills to be that high or not, there’s no time like the present in which to make our homes more efficient for both the summer and winter months. These processes can take a little while to reap rewards, so getting a head start is always advantageous. Below you’ll find some great tips for saving on your heating, ensuring that your prepared when winter comes round again. Electric radiators are incredibly useful in the fight for heating efficiency. 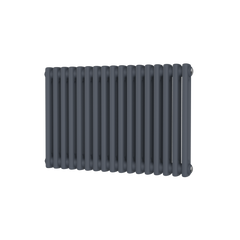 These are radiators which can be turned on and off as single units, meaning that you can concentrate your heating efforts on the rooms which need them at that time. Take a normal home in the evening for instance. If the family is gathered in the kitchen, or watching television together, there is no need to heat the hallway, bathroom and bedrooms. Turn off your central heating for a few hours and turn on the electric radiator, ensuring that your home has heat where it’s needed most. 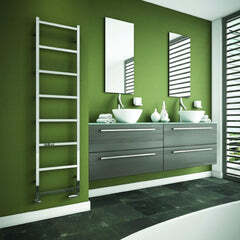 What’s more, the electric radiator is very useful for those parts of the home which are unpredictable in their needs. Bathrooms need less focus throughout the day than other rooms, but could do with warmth when towels need drying or when the queue for the shower builds up. Central heating and electric underfloor heating could not only save on your heating bills, but could save you space as well. Heat rises and spreads out throughout a room, and by that logic wouldn;t it be most efficient to have the heat output as low as possible. What could be lower than underneath the floor itself? If you can spare the disruption that the installation can cause, underfloor heating can really work wonders on a homes heating and space efficiency. 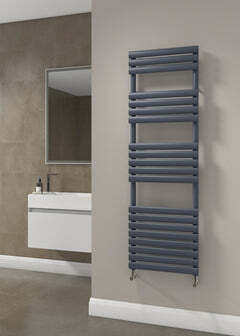 Touch screen thermostat mastery is an element of radiator control which is often overlooked. The reason for this is that we get used to the regular rhythms of the central heating timers. If we really focus the radiator heating times using the thermostats in our home, then we could schedule and set exact times for our radiators to switch on. This will avoid wasteful heating when no one is around to appreciate it. Think ahead and reprogramme your radiators for when they’ll be needed the most. 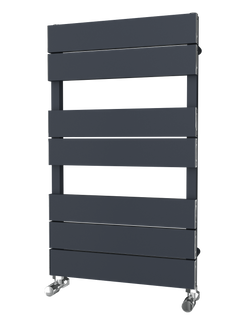 Calculating your radiators British Thermal Units will help you to find exactly what model and size radiator will suit your room the best. Measuring the BTU will make sure that the radiators heat output in your home is not too powerful for the space it is heating, and vice versa.